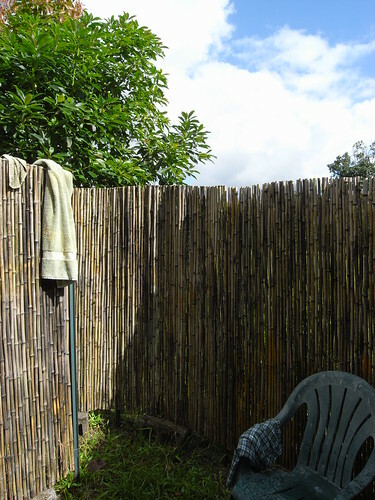 Outdoor Shower, originally uploaded by Eric Jeschke. Something has come up that might alter my SoFoBoMo book plan a bit. I’ve ordered a new camera. If you follow this blog at all, you might be able to make a good guess which one. I was planning on doing the book with my current favorite camera, but I just might make the book with a set of photographs from the new camera. I’ll make that call a little bit down the line here. If I go with the new camera, then I’ll reset the fuzzy month to start from the time it arrives. That should still leave me well within the “official” guidelines. I always have a lot of energy shooting with a new camera, and it adds an additional element of interest to the book. Yes, yes! More new camera. MORE! Just doing my part to get us out of this recession, don cha know.